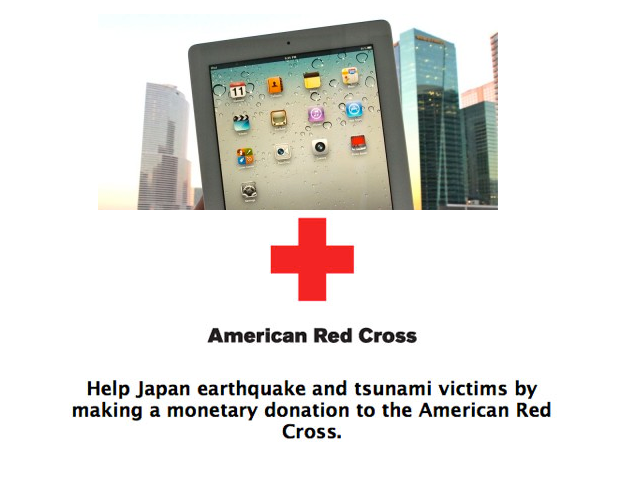 "We are delaying the launch of the iPad 2 in Japan while the country and our teams focus on recovering from the recent disaster. Our hearts go out to the people of Japan, including our employees and their families, who have been impacted by this terrible tragedy. "- Natalie Kerris, Apple spokeswoman announced.Apple has belated the launch of the iPad 2 in Japan due to the last week's earthquake and tsunami that have ruined important parts of the country. The iPad 2 had been planned to enter Japan as part of a broad international trip in many other countries on March 25th. The front page of Apple Japan's Web site expresses the company's deepest commiseration for the victims of the earthquake. The delay comes as Apple continues to accept donations via iTunes to support aid efforts by the American Red Cross in Japan. Apple has yet to announce a rescheduled Japanese launch date for the device. Analysts estimate that sales range of the Apple second generation tablet would fluctuate from half to as much as 1 million. However, there are some positive news as well form iPad2- its increased performance and new features like dual cameras and iMovie software we all look forward to use.